I’ve now interviewed both Ava DuVernay and Tyler Perry, do you realize how close that puts me to being in Oprah’s sphere! Tyler Perry was in Philadelphia earlier this month to promote his latest movie Boo! A Madea Halloween. He walked the red carpet and introduced the film to an enthusiastic Philly audience. The next day, just a few select outlet, (yours truly included!) and the young kid who sung for the Pope, Bobby Hill, got a chance to individually meet and chat with the entertainment mogul at the Ritz Carlton Hotel. T&T: I read somewhere that when you directed your first movie “Diary of a Mad Black Woman” The first Madea movie in 2005, you didn’t know the cameras should move. Which means you just kinda dived in, which is great and seems to have served you in your life; but for most people fear and doubt of something that they don’t know how to do stops them. How did you overcome? Where do you put your fear & doubt? And secondly, what was the second most import thing you learned about filmmaking after that? 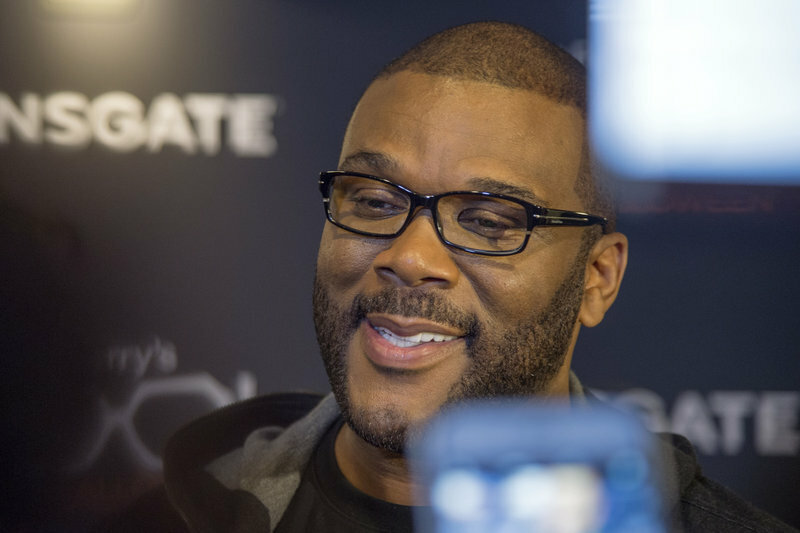 Tyler Perry: Well, I didn’t direct the first one because I didn’t think I could do it. I didn’t know what it was about, I never studied, didn’t know about camera movement, lenses, lights I didn’t know anything. It was actually directed by Darren Grant. But on set I had so many issues... well, let's put it this way, when I see things, I always see an answer to it. Why does it take 12 hours to set up this or 5 hour to do that? So I said come hell or high water, the next movie I’m just gonna jump in here and direct it. And that was Madea Family Reunion. I come from a place of sometimes ignorance is bliss, what you don’t know is really a wonderful thing, because you don’t have the fear attached to it. Had I gone through certain avenues in Hollywood and had to be faced with how things really worked, I wouldn’t have had the wherewithal to just do it my own way. So the greatest gift that I had was to come from the outside in. T&T cont: And what was the second most important thing you learned about filmmaking? Tyler Perry: Know what I can do and what I can’t do let somebody else do. I have an incredible team that allows me to shine where I can shine and where I can’t shine they pick up all the slack. T&T: So if Madea were running for our 2016 Presidential Election what do you imagine would be some of the issues of her platform? Tyler Perry: Oh My Gosh! That’s is a really, really good question. (In Madea’s voice) The first issue would be how to get rid of Trump. The second issue would be how to get rid of Trump and the third issue will be how to get rid of Trump! (laughter) The gun laws would be - do unto to me before I do it onto you or you will get done too. (laughter) (back to regular voice) I don’t know, that don’t even makes sense (laughter). That’s the strangest thing though, what’s happened in this country with social media and Reality TV that’s created this shift to allow a person to ascend to the nomination for the highest office in the land, with no experience at all! It’s shocking to me. Let me tell you something, I used to love staying at a Trump Hotel, but I don’t want him to be my President. He’s a great businessman. He’s very smart in that sense, but not as President of the United States. T&T: Boo! A Madea Halloween of course is a comedy spoofing horror movie elements, but I’m someone who can’t watch real horror films, especially if someone is possessed. What’s your view on horror movies? Tyler Perry’s Boo! 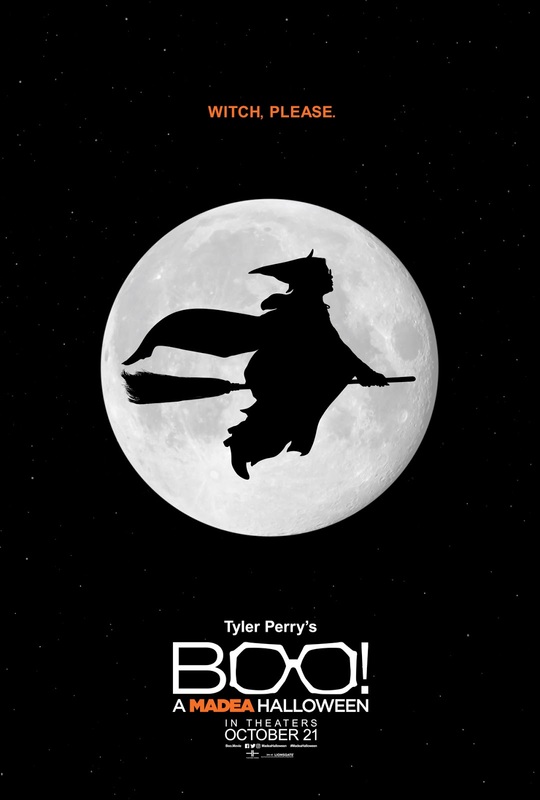 A Madea Halloween Synopsis: Madea (Tyler Perry) winds up in the middle of mayhem when she spends a hilarious, haunted Halloween fending off killers, paranormal poltergeists, ghosts, ghouls, and zombies while keeping a watchful eye on a group of misbehaving teens. T&T: I was on a blog site which featured favorite scenes of Madea movies and one of the readers wrote a comment: Jody Werner 18 April, 2016 at 10:47 pm I’m going to order Madea movies for the staff at The Breast Cancer Institute in Urbana, Illinois, as a Thank You for ALL they’ve done for me! 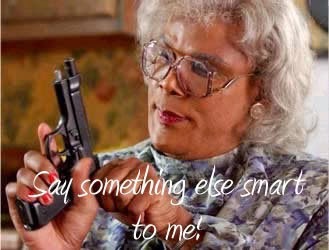 I LOVE MADEA!!! You must hear about similar testimonies all the time. But can you elaborate on how it feels to be doing what you’ve obviously been called to do? Tyler Perry: Yeah, that feels amazing and that’s gonna be a great gift for a lot of people, but some people are going to be very upset about it. (laughter) They might be like, why is she insulting us giving us these Madea movies!?! (laughter). Seriously, hearing those kinds of things are amazing. I’ve been hearing them for a very long time and they have been the things that have kept me comforted, kept me grounded, and kept my eyes on the prize when there were rough times and rocky times and critics where saying one thing - messages like that would always be the ray of light. As if to say, you’re on the right path, don’t stop. T&T: Last year about this time you announced Fort McPherson Army Base in Atlanta will become the new home of Tyler Perry studios. Congratulations, that’s an exciting expansion, how much are you able to talk about your plans and where things stand now? Tyler Perry: We’ve moved in. This whole movie was shot there. It’s not completely done, some stages are being built; it’s 338 acres, so there’s a section still under development, but we’ve renovated one of the main buildings, it’s amazing! Brian’s house in the movie, is actually a historic house that President Roosevelt stayed in on his way to Warm Springs. The base is just unbelievable. Every day I go there I pinch myself. So far over 1000 people have been employed since we’ve opened. Walking Dead is being shot there, they were my first clients. We just filmed The Immortal Life of Henrietta Lacks there, and I’m not officially open to rentals yet, but people are coming. T&T: I understand it’s part of the National Registry of Historic Places? Tyler Perry: There’s only one area that’s a part of it, and that areas maybe 30 acres out of the 338, which has the most beautiful homes built in the 1800, that are perfect as they are. For any other person or developer, this would have been a problem, but for me, it was perfect because I have no desire to do anything with them other than maintain and keep them up and use them for back lot shooting. T&T: Have you moved over the studio names from the old studio to the new studio? 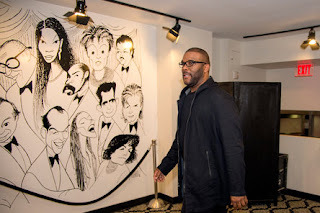 Tyler Perry: I’m going to move over the Ruby Dee, Cicely Tyson and Sidney Poitier stage names, but it’s now 14 stages, so I’m dedicating the other 11 to other notable entertainers. I’ve got a nice list going on, but I’m not exposing it just yet. T&T: When you do, can your fans decide for you? Tyler Perry: That would be really great to let them vote on it. I have about 12 - 13 people that I really, really admire who I’d love for them to break the bottle of champagne over the stages. Tyler Perry: (laughter) Yeah… right, right… (laughter). Note: The Q&A is shorten a bit for time. If you’d like to listen to the complete audio click player below. Note: Audio player will not be visible to those receiving T&T via RSS Feed.